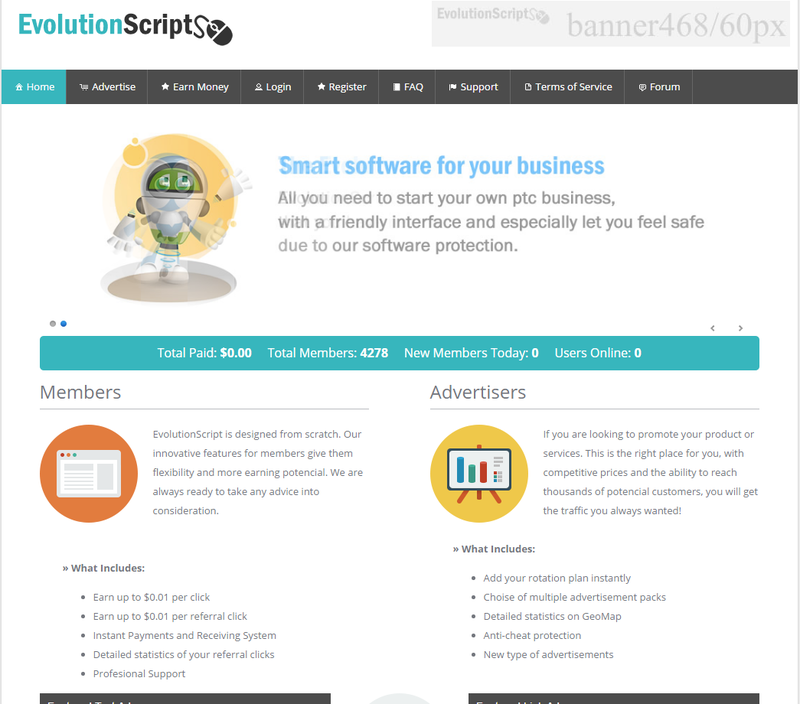 Evolution Script 5.1 - $12.00 : BuxSense, Paid to click services - Download products instant! PTCEvolution is the most powerful PTC software that you have never seen, giving more confidence to members and making the administration more easy and faster thant other applications. Our new GPT System was designed for an easy management with the most secure tools for your business with the confidence that you need and that your members want to. PTCEvolution has a robust and flexible platform, topped with an intuitive interface that makes our software stable and popular. Our services begin from our software installation until the most complicated application that you need, custom mods or different applications. Mass Mailer not work in this verssion! The alternative is send message directly on site! 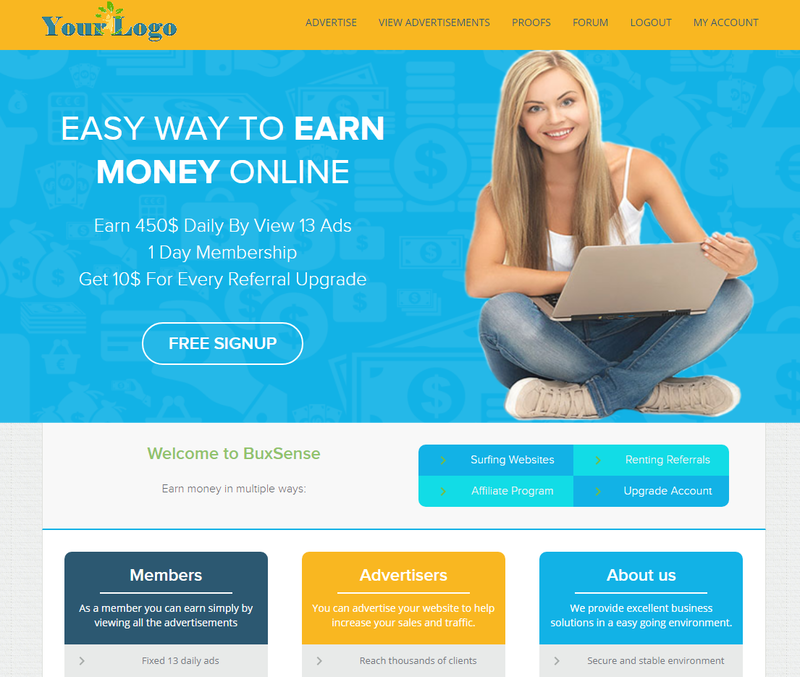 Our system support the most popular payment processors of the market giving you the opportinity to get more income from people of all over the world.